To claim this profile, please confirm you are Nikita Bipin. To follow this profile, please let us know your relationship to Nikita Bipin. RESULTLoss Girls varsity basketball @ Garner Magnet. The Apex varsity basketball team lost Monday's away conference tournament game against Garner Magnet (Garner, NC) by a score of 65-40. RESULTLoss Girls varsity basketball @ Apex Friendship. The Apex varsity basketball team lost Friday's away conference game against Apex Friendship (Apex, NC) by a score of 41-27. RESULTWin Girls varsity basketball vs. Fuquay - Varina. The Apex varsity basketball team won Tuesday's home conference game against Fuquay - Varina (Fuquay-Varina, NC) by a score of 49-41. The Apex varsity basketball team lost Friday's away conference game against Garner Magnet (Garner, NC) by a score of 81-48. RESULTLoss Girls varsity basketball @ Middle Creek. The Apex varsity basketball team lost Monday's away conference game against Middle Creek (Apex, NC) by a score of 54-33. RESULTLoss Girls varsity basketball vs. Holly Springs. The Apex varsity basketball team lost Friday's home conference game against Holly Springs (NC) by a score of 71-30. RESULTLoss Girls varsity basketball @ Fuquay - Varina. The Apex varsity basketball team lost Friday's away conference game against Fuquay - Varina (Fuquay-Varina, NC) by a score of 39-30. RESULTLoss Girls varsity basketball vs. Apex Friendship. The Apex varsity basketball team lost Friday's home conference game against Apex Friendship (Apex, NC) by a score of 51-26. RESULTLoss Girls varsity basketball vs. Middle Creek. The Apex varsity basketball team lost Tuesday's home conference game against Middle Creek (Apex, NC) by a score of 51-26. RESULTLoss Girls varsity basketball @ Holly Springs. The Apex varsity basketball team lost Friday's away conference game against Holly Springs (NC) by a score of 74-12. The Apex varsity basketball team won Saturday's neutral tournament game against Hoke County (Raeford, NC) by a score of 39-37. Nikita's basketball stats have been updated for the loss vs. Northwood. RESULTLoss Girls varsity basketball vs. Northwood. The Apex varsity basketball team lost Friday's neutral tournament game against Northwood (Pittsboro, NC) by a score of 37-22. 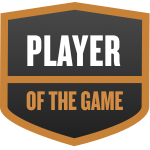 Nikita was selected the Player of the Game in the basketball game against East Chapel Hill on Thu, Dec 27 2018. Congratulations to #14 Nikita Bipin for being selected the Apex Girls Basketball Player of the Game. Nikita's basketball stats have been updated for the win vs. East Chapel Hill. The Apex varsity basketball team won Thursday's neutral tournament game against East Chapel Hill (Chapel Hill, NC) by a score of 42-28. Nikita's basketball stats have been updated for the loss @ Cary. RESULTLoss Girls varsity basketball @ Cary. The Apex varsity basketball team lost Wednesday's away non-conference game against rival school Cary (NC) by a score of 62-5. Nikita's basketball stats have been updated for the win vs. South Garner.